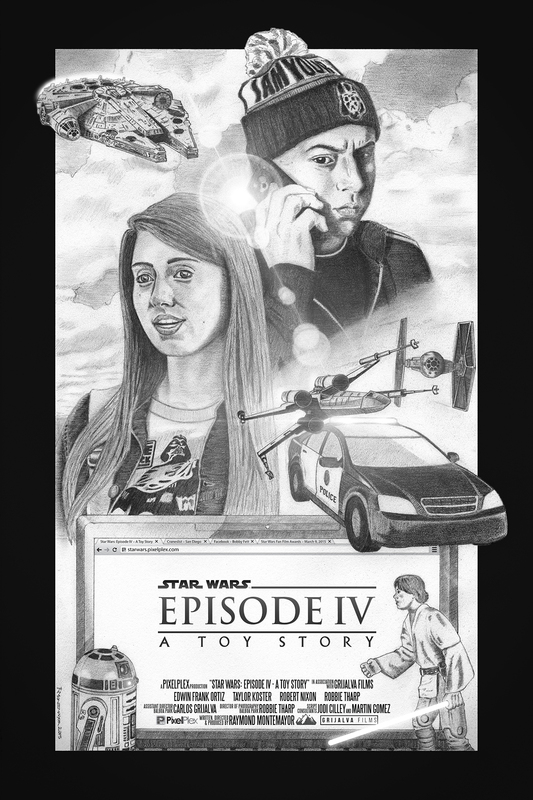 I finally found the time to illustrate a poster for our short film Star Wars: Episode IV – A Toy Story. We know the mighty oaks begin as mere seedlings just as great lives all begin as just an idea, a hope and fantasy. Those who continue to dream large, work hard, and sacrifice for a big dream are the ones who make this world turn round. You are off to a great beginning. Thanks for sharing with me and with all the rest who have seen your Toy Story. Now that’s the best rejection letter I’ve ever received! His message inspired me to dust off my pencils and illustrate a poster for our film. I’m not a painter, nor do I claim to be an artist, but this is a composition that I imagine Drew might come up with. I used graphite and white charcoal on paper for the base illustration, which was drawn to scale for an 11″ x 17″ print. I scanned the sketch at 1200 dpi so I could scale it up for a 27″ x 40″ poster if needed. Final compositing was done with Adobe Illustrator and Adobe Photoshop. For those of you who enjoyed our film, I hope you like the poster art as well. And to Mr. Struzan, thanks for being such an inspiration for decades. I look forward to your coming out of retirement periodically to wow us with more of your magic. 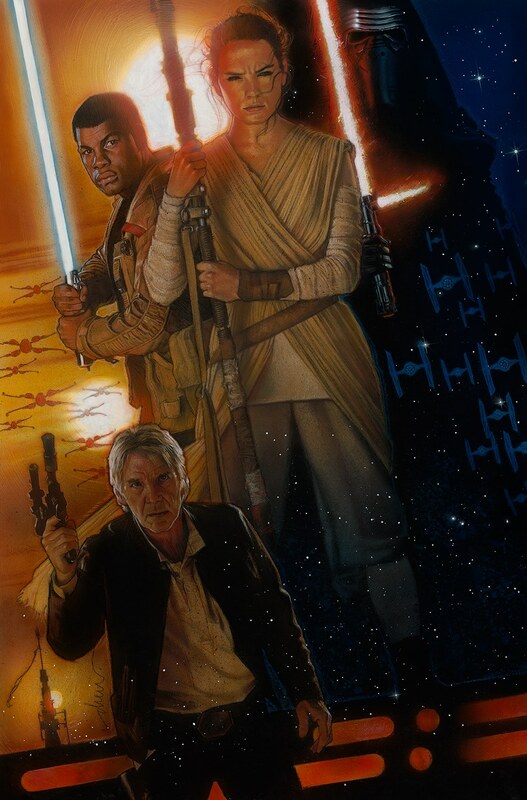 I can only hope that this teaser poster for The Force Awakens is just the beginning of more beautiful art to come in the future.